Selling solutions is about more than vending a hodgepodge of products; it’s about pulling those products together in a purposeful way to produce desired business outcomes. Solution selling is uttered so much in the channel that it’s become a cliché. When vendors tell partners to sell “solutions,” what they really mean is to sell more product in each sales engagement. Solutions to real-world problems are something entirely different – the translation of technology into definable, valued outcomes. Earlier this week, I keynoted the Ingram Micro U.S. sales kickoff meeting in Buffalo. 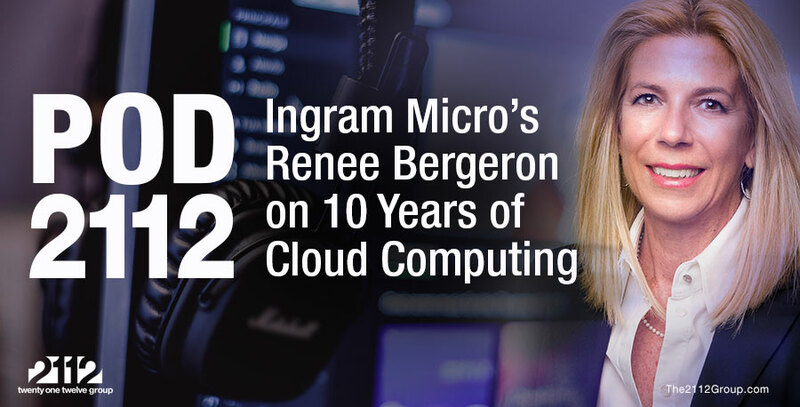 Ingram Micro, the world’s largest distributor, is keenly aware of the changing dynamics in the IT marketplace, and how the end customer expects more from vendors and resellers than just more boxes with blinking lights. They asked me to speak about the changing market dynamics and how they’re impacting the channel. My job was to share with the 600 or so sales reps in attendance how evolving cloud computing, mobility, cognitive computing, automation, and Big Data technologies would reshape their customer engagements. Look beyond sales reps core mission of selling solutions & serve as partner business dev managers. I have plenty of data and examples of market trends, but I wanted a vivid display of the need for sales reps to look beyond their core mission of selling solutions and serve as partner business development managers. Vendor and distribution sales reps can’t afford to just push boxes and services contracts on partners and expect to build and maintain meaningful and revenue-generating relationships. A better outcome is needed. A business outcome is needed. With that in mind, I brought Legos. Yes, Legos, the plastic bricks we played with as kids. Children still play with Legos, assuming they haven’t transitioned to Minecraft. (But that’s a different story.) I wanted to show the difference between what could be accomplished by a team with a set of instructions leading to a defined outcome and what could be achieved when there was no reference guide. For this exercise, I had three volunteers from the audience. One person was given a set of Legos that contained 89 pieces and instructions for building a racer plane. The other two people were given the exact same set of Legos with no instructions. The only thing I told them is that I wanted to fly. Customers are most concerned whether products will help their businesses operate better & grow. I continued with my keynote while they toiled away behind me at separate tables. I couldn’t see them, but people from the audience told me later that they worked earnestly, always with serious looks on their faces. Prior to the event, I built the model with the instructions. It took about 15 minutes to complete. The instruction book made it easy. I presumed the team without the instructions and the extra body could come up with something in equal time. As expected, the person with the instructions did a perfect job, delivering the completed and correct Lego model, as seen here. Much to my surprise, the other team also produced a plane that looked vaguely similar to the intended model. My initial reaction: They completed the task – sort of. It looked like a plane. Upon closer inspection, though, the model they produced fell short of expectations. They explained that they made a conscious decision to ditch the propeller and go with a jet design. That’s fine, but they had no engine or visible source of propulsion. On top of that, they didn’t use at least two dozen parts at their disposal, leaving gapes in the cockpit and fuselage. And the pilot didn’t have a stick for controlling the plane; instead, the joysticks were mounted on the wings like antennae. The free-form team’s plane looks cool, but it’s not very functional. If we were trying to fly, this product wouldn’t carry us very far. These two plastic Lego planes aptly reflect the state of the technology market. Too often, vendors and partners focus on selling the bricks and not enough time on what the bricks can and should come together as to produce a high-value, productive business outcome. This is increasingly important as customers are less concerned with the products and more concerned about whether the products will help their businesses operate better and grow. The analogy isn’t perfect, because we can’t anticipate every outcome or customer scenario. What is certain is that instructions – or reference architectures – will get us far closer to working, productive systems than blindly cobbling together a bunch of components. You don’t have to go it alone in crafting instructions and reference architectures. Learn about how 2112 can help you with go-to-market guides, product positioning white papers, and expert instruction services.